Allium 'Medusa' is an ornamental onion with snaky, twisty leaves that will remind you of the snake hair from the Medusa legend. ‘Medusa’ forms a low mound of grey-green, narrow foliage with leaves the twist slightly at the end. The nodding buds look like snakes at the tips of the stems, before they straighten up to form rounded clusters of light amethyst purple flowers. 'Medusa' is similar in flower color and flower foliage to ‘Blue Eddy’, but in a much larger form. 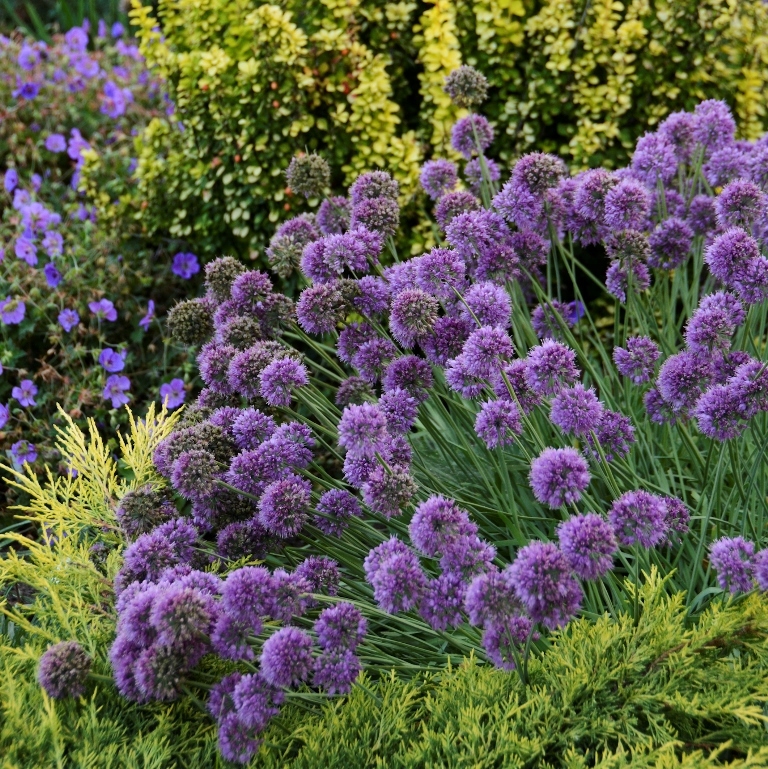 Allium 'Medusa' is easy to grow in average, dry to medium moisture, well-drained soils in full sun to part shade. It performs best in full sun but will tolerate some light afternoon shade. It tolerates a wide range of soils including sandy soils but will not grow well in heavy clay. Although it is a true bulb on a stout rhizome, it forms a clump which can be lifted and divided in either spring or fall. This hybrid has been extremely well behaved in our garden, slowly spreading to make an attractive clump with no seeding around.